Email a logo idea and Royalty Core will take it a reality. 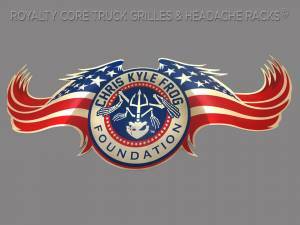 All drawings are emailed for your approval prior to manufacture so you can make changes as needed. 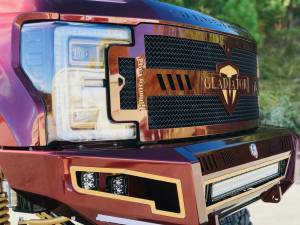 Business Owners: A company logo transformed into a stainless emblem in the middle of your truck grille is great advertising for your business! 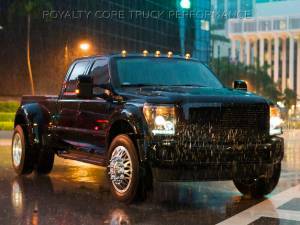 Royalty Core's RCX LED GrilleS cultivates an overall stealth appearance with stainless steel mesh surrounded by a studded sleek grille frame with smooth lines. 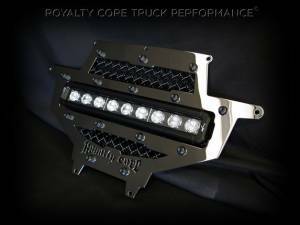 Royalty Core's integrated LED power, Iconic stainless triple chrome studs, T304 construction, and diamond mesh combine one killer RCR design to out-perform and outlast the competition. 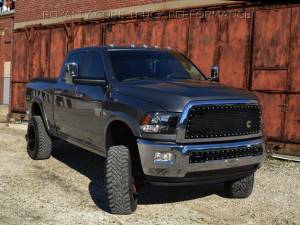 Email your grille ideas or truck theme and Royalty Core who specializes in custom designs will take it to the next level. All drawings are emailed for your approval where you can make changes as needed. Below is a portfolio of previous examples. 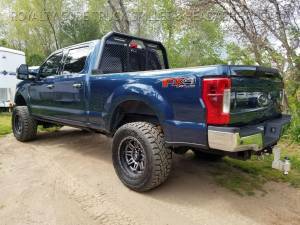 See some great photographs taken by Royalty Core customers of their sweet trucks with their new grille. 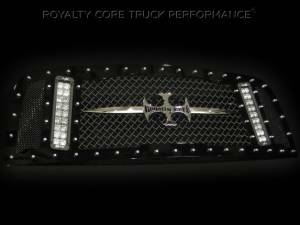 Send in your pictures of your new Royalty Core grille on your truck so we can all see. 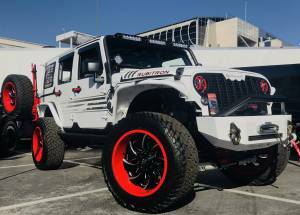 Royalty Core’s RC88 Ground-Breaking Headache Racks replicate the image of their incredible custom grilles for the ultimate appearance. 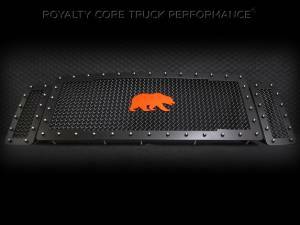 Royalty Core’s T304 Stainless Super Woven Mesh diamond design enables maximum rearview visibility and keeps your cab cooler from sunrays. 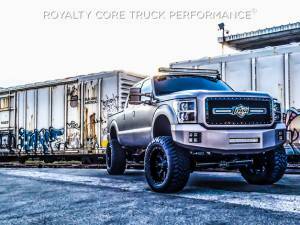 Watch Royalty Core SEMA Truck Builds. 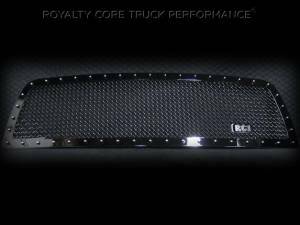 Royalty Core Leads The Industry in Design, Innovation, and Quality. 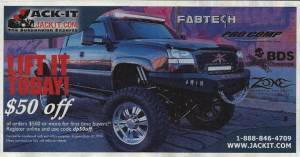 See The Rave in Featured Articles, Covers, and Press Releases.